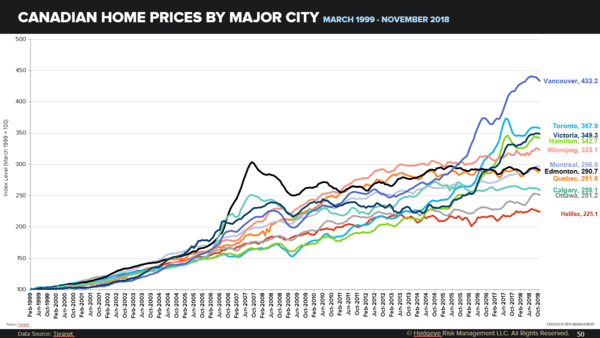 Takeaway: Home prices, measured using the Teranet-National Bank Index, appear to be stagnating across major Canadian housing markets. Editor's Note: Below is a complimentary chart from a research note written by Hedgeye analyst Josh Steiner. For more info on our institutional research email sales@hedgeye.com.